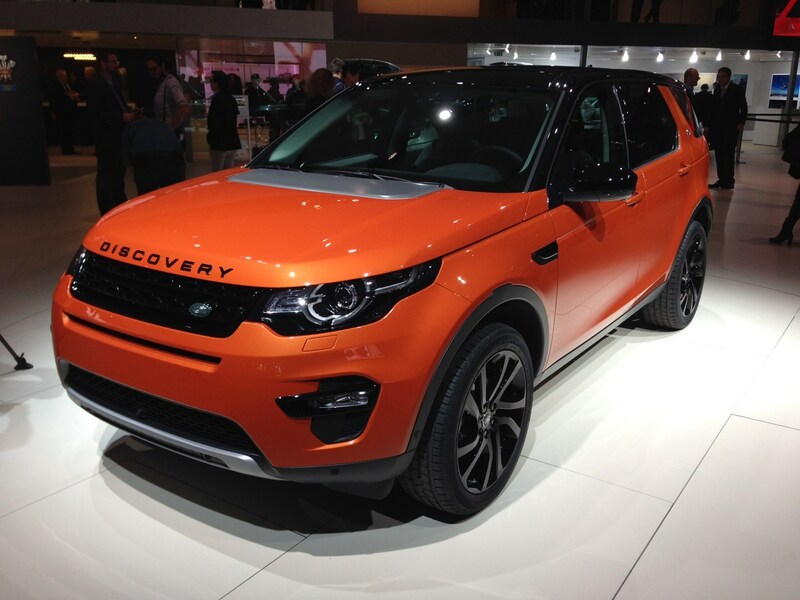 Hot news on the Land Rover stand was the replacement for the outgoing Freelander, the Discovery Sport. Taking design cues from the Range Rover Evoque and the latest Range Rover, the Disco Sport is a sleek and refined offering. The exterior has been designed with efficiency in mind, and it looks very much like a premium compact off-roader. From its launch in January 2015, power will come from one engine, a 2.2-litre diesel. It will also only be available as a four-wheel drive, with a choice of a nine-speed automatic or a six-speed manual transmission. A new Land Rover-built diesel engine will be available later in 2015, which is claimed can deliver CO2 emissions as low as 119g/km. At current car tax rates that is free to tax for the first year and £30 thereafter. In the interior the car has a premium feel, echoing other Land Rovers of recent. It is also practical, with five full time seats and the option of two extra seats which fold flat into the boot floor. With the two extra seats collasped the boot size is surprisingly capacious with up to 981 litres. The second row seats also slide back and forth to increase legroom or increase boot space depending on requirements. The seats also spilt 60/40 and be independently moved back and forth. The third row seats are suit to kids or very short journeys for adults - leg space is not huge. Comfort is improved though with direct air vents and USB recharging points both for second and third row passengers. In addition, several new technologies make their debut on the car; an in-car 3G hotspot, 8-inch infotainment system and emergency GPS tracking in the case of a crash. Safety for pedestrians, in line with EU rules, has also been considered with the Discovery showing off an air-bag in the bonnet. In-car wi-fi will also be available using a SIM card and 4G connection, which should be able to support up to eight devices in the car. Customers will need to purchase a SIM card from a suitable provider and then install it in the car. There will be four trim levels with SE as the entry-level, then SE Tech, moving up to HSE and HSE Luxury forming the range topper. The Discovery Sport is certainly indicative of Land Rover further exploiting niches in the market, and the manufacturer hopes this latest offering will attract both Freelander fans and those who had not previously considered the larger-sized Discovery. Officially orders can be placed from October 22nd with prices starting at £32,395 for the SE with the 2.2-litre diesel and six-speed manual gearbox - the cheapest route into Land Rover Discovery Sport ownership.Adding the nine-speed automatice moves it up £1800. The addition of the new engines from Land Rover will not only mean cheaper running costs but will also lower the price barrier to Discovery Sport ownership. Expect to see a more eco version that comes with two-wheel drive only and CO2 emissions of 119g/km. Read more about this car in our Land Rover Discovery Sport preview.